"Why?" 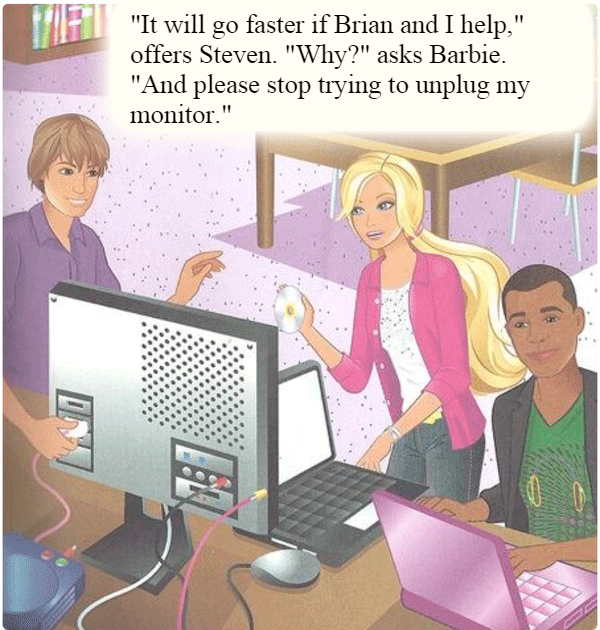 asks Barbie. "And please stop trying to unplug my monitor."